The Great Room was built as a gathering place and gallery for the family's art colleciton. 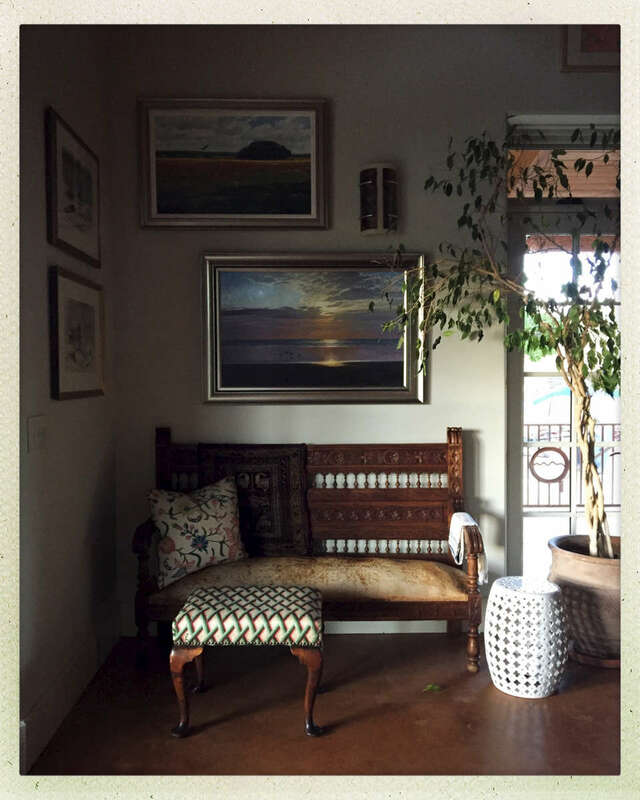 The paintings above the antique bench are by Texas Artist, Al Barnes. The ottoman with the grandmother's crocheted top was collected from the Casita, whtile the garden stool was diverted from an outdoor shower.